When you bring a character to life through cosplay, you’re translating a fantastic design into reality. That means making creative decisions: Is this shade of purple more blue or more pink? Is my character a flannel or leather kind of guy? Where do I hide the zipper and how on earth will I move in this?!? I love the design process of cosplay, and I’m a big fabric nerd. Here’s a list of questions I ask myself to help me decide on the perfect material for a new cosplay. Which material would suit my character? Before you dive into construction, do some research on the character you’re cosplaying as. Chances are you’re already a fan, so how would you describe the character to someone who sees them for the first time? Are they a rogue, a bubbly schoolgirl or an elegant gentleman? Make sure your choice of fabric reflects that. A prince or princess should be dressed in elegant fabrics that don’t look too plain. Real or faux silk, taffeta, velvet, brocade or heavy-weight satin (casa satin) would be a good choice. Beware of cheap, shiny materials like crushed velvet and halloween-quality satin. A fantasy warrior needs sturdy materials like leather (substitute with pvc leather), wool, linen and rough-spun cotton. Stay away from shiny or delicate materials and anything that looks too modern. Superheroes and sporty characters, on the other hand, love spandex, both matte and shiny! Does the design give me a clue? With HD games and TV/movies these days, you get a wealth of information from screenshots. 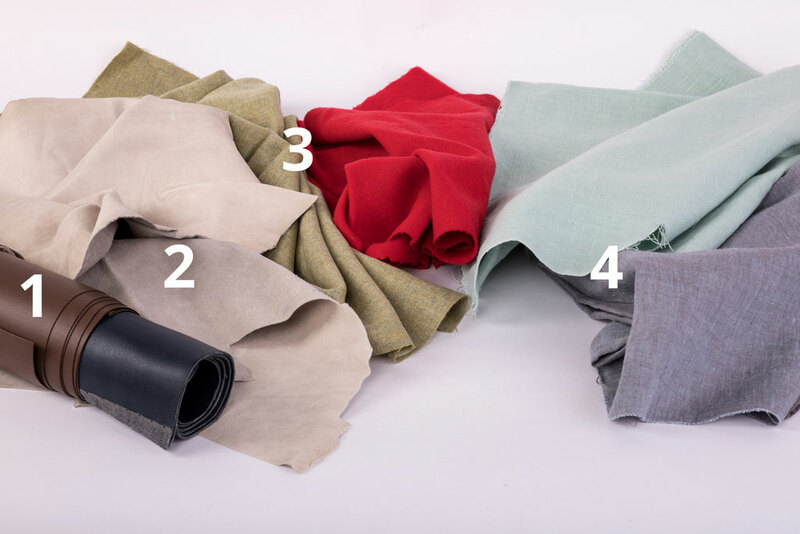 You’ll often be able to see a distinct texture on a material that leaves no doubt that it’s tooled leather, rough-spun linen or washed-out denim, for example. If you see a texture but are unsure what this material is called, ask your peers in a cosplay help group or sewing forum. If you get a chance to see the actual costumes up close in a movie exhibition, that’s definitely worth a research trip! Most anime and cartoon designs are highly stylized and don’t really show any texture, just plain colors. Still, the animation may give you a hint through the way the fabric flows or hugs the body. You may also find clues in cover illustrations or concept art which are often more detailed. 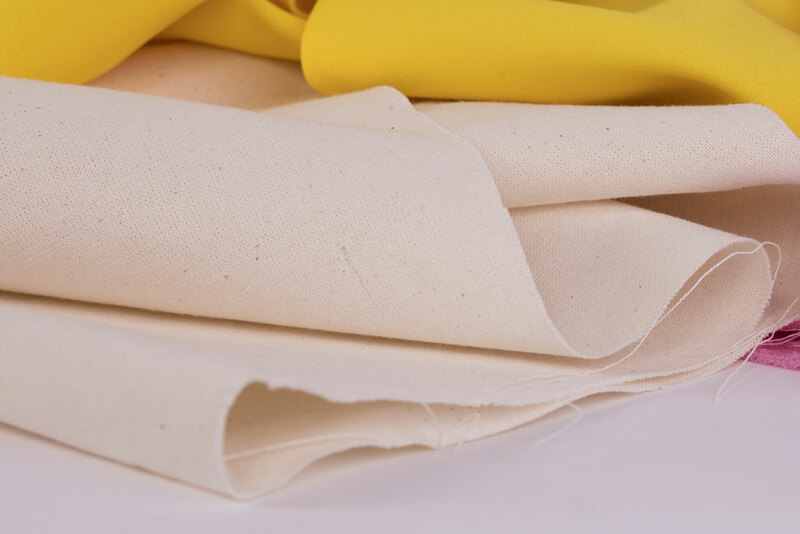 Telling the type of fabric from the way it drapes or flows is a matter of experience, so if you haven’t worked with a variety of fabrics before, it’s time for regular trips to the fabric store! Touch and feel as many different fabrics as possible, learn their names and what they’re typically used for. 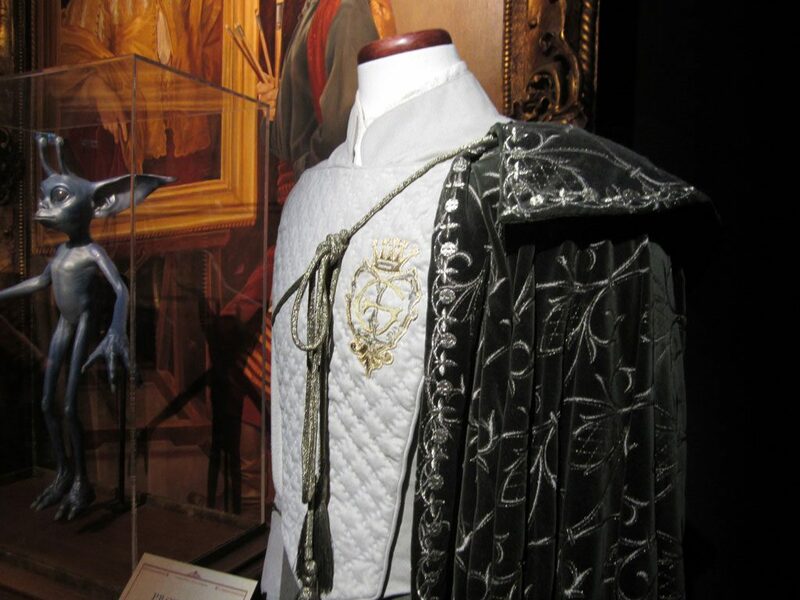 If your character is a historic character, or their design is based on period costume, your choice of fabrics will be limited by the materials and methods that were available at the time. While I don’t think it is necessary to go all “authentic” for something that is not a reenactment costume, I do use historic dress as a reference for cosplay. It helps me better understand the idea behind the design, how the construction works, and how to achieve a realistic look. The same is true if the design is based on ethnic dress, like a Japanese kimono. Read up on authentic fabrics, weaves and construction methods before you buy something that is pure fantasy. Yukari’s (Paradise Kiss) outfit that she models at a fashion show reminded me of the baroque/punk creations of Vivienne Westwood or Alexander McQueen, so I made it a point to use high-fashion fabrics. Vintage silk and tartan shot with metallic yarn give her outfit that smart glamour effect I wanted for the stage. What works with the pattern? 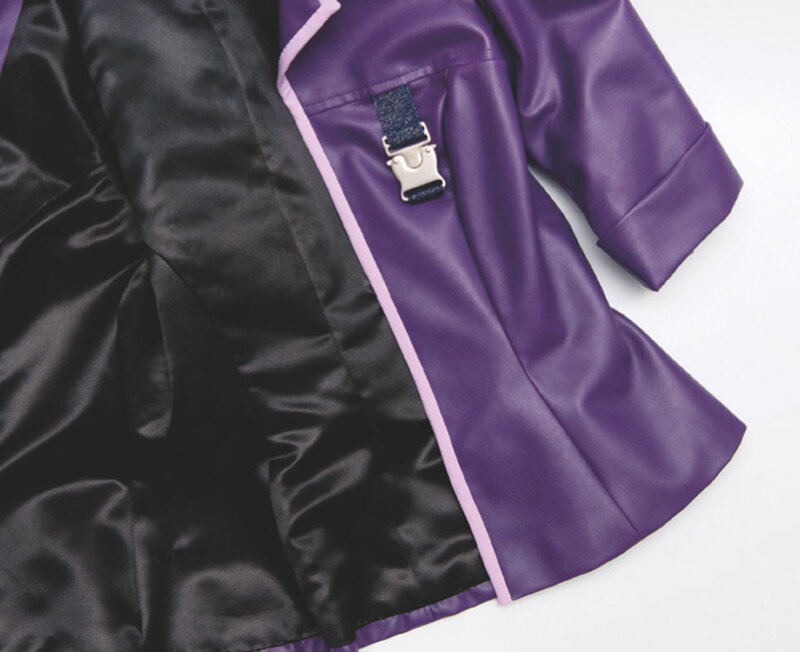 Unless you’re an experienced seamstress, try not to use a slippery material like velvet or very stiff fabric like pvc leather to make something as complicated as a fitted bodice or a suit with dozens of pattern pieces. It can be a very frustrating experience! For complex patterns, make a mockup (test piece) out of plain cotton fabric to test the pattern. For the actual garment, use a fashion fabric that is easy to cut and sew and that does not warp easily. Figure-hugging costumes are best made out of a light or medium-weight fabric that isn’t too thick or stiff. Stretch is a plus for comfort and fit – unless it’s a corset. Corsets that lace up should not stretch at all if you want them to do their job: shape the body. T-shirts, leggings and superhero suits call for a four-way stretch fabric like spandex or jersey knit fabric. Don’t use non-stretch or two-way stretch fabric for a bodysuit if you want to be able to bend over and sit in your costume! Back in 2006/07, we used stiff upholstery pleather to make our FF X-2 Warriors because it was the only kind of pleather available to us in the colors we needed. This pose is about as far as we could bend over – no chance to sit down and rest in these costumes! Soft, light-weight fabrics like chiffon and organza are perfect for flowy drapes. When using sheer or white fabric for any other part of a costume, you may need to back it up with interfacing or a second layer of fabric (like cotton broadcloth) unless you specifically want it to be transparent. When you buy a commercial pattern, you’ll find fabric suggestions on the back of the packaging! I’ve made a list of fabrics and patterns rated by difficulty to help you decide which designs and materials are good for beginners. Maybe I’m getting too old for this, I can’t bear running around in sweaty pvc leather and polyester anymore! When I intend to wear a costume all day at a con, I prefer natural fibers (like cotton and silk) against my skin. Functional (sportswear) fibers like spandex are also really comfortable to wear. If I need the costume to be made of sturdy pvc leather or plastic, I can at least line it with a softer fabric. Make sure your costume is appropriate for the temperatures. Wearing heavy fabrics, fur or non-breathable synthetics at a summer con can lead to serious heat-control issues! It’s best to pick an airier costume or reduce the layers before going outside. Will it be easy to clean and keep up? I like to treat my costumes like actual garments that are meant to be worn over and over again. Good materials and craftsmanship are important to me, and I want to be able to wash the costumes before the next con to return them to a near-new state (and not smell like three days’ worth of con funk). When you buy a fabric, read the care instructions on the tag or in the description to find out whether it’s washable. Pre-wash and iron all of your fabrics before you cut and sew them. This will pre-shrink the fabric (natural fibers like cotton shrink by up to 10% the first time you wash them! ), it will get rid of the chemicals and intense colors will bleed much less the second time you wash them. Pro tip: most fabrics can be washed if you do it in a sink / bathtub, with lukewarm water and a mild detergent, and no spinning or tumbling. Test it on a fabric swatch first and compare the result with the unwashed fabric if you’re nervous (I always test-wash expensive silks). If you don’t like the look of the washed fabric, the finished costume will have to be dry-cleaned later. Easy-to-clean, long-lasting fabrics include: most cottons and cotton blends, stretch fabric (especially spandex) and polyester broadcloth. The price really makes a difference here: when given a choice, I prefer high-quality fashion fabric for clothing and sportswear over decorative fabric and cheap (halloween-quality) costume fabric. Does it come in the right color? You’ll notice that I’ve put this one last, although it tends to be the first question cosplayers ask: where on earth do I find a fabric in this strange, undefinable color?! My advice: think about the type of fabric as much as you think about the color. 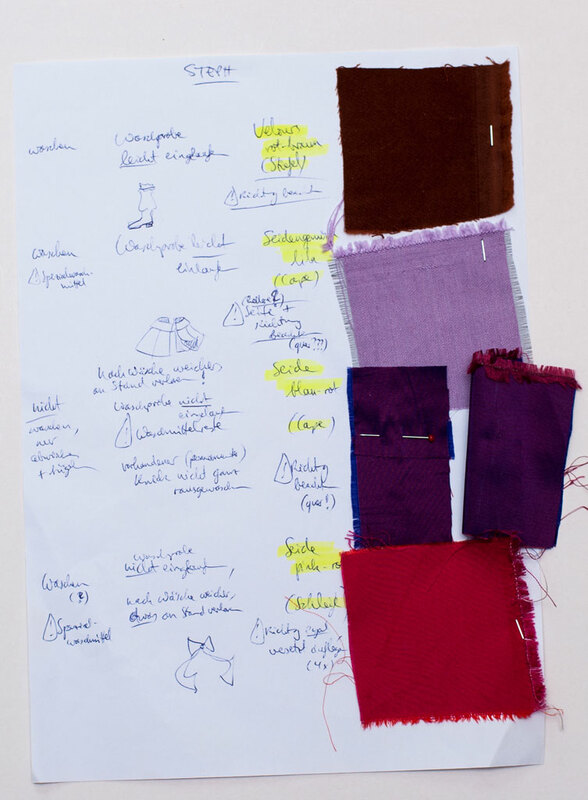 It won’t do you any good if the color is perfect but the material is of low quality or simply doesn’t work for the type of garment you’re making. For a lot of anime and cartoon characters, plain cotton and synthetics are a good choice. They come in a vast range of colors, are available all year round and are easy to work with. Satin, taffeta and knit jersey are also available in many colors. The same is true for spandex, vinyl and upholstery pleather if you go to specialty stores for dancewear or home textiles, respectively. Lycra / spandex is available in a vast range of colors and qualities if you know where to look. 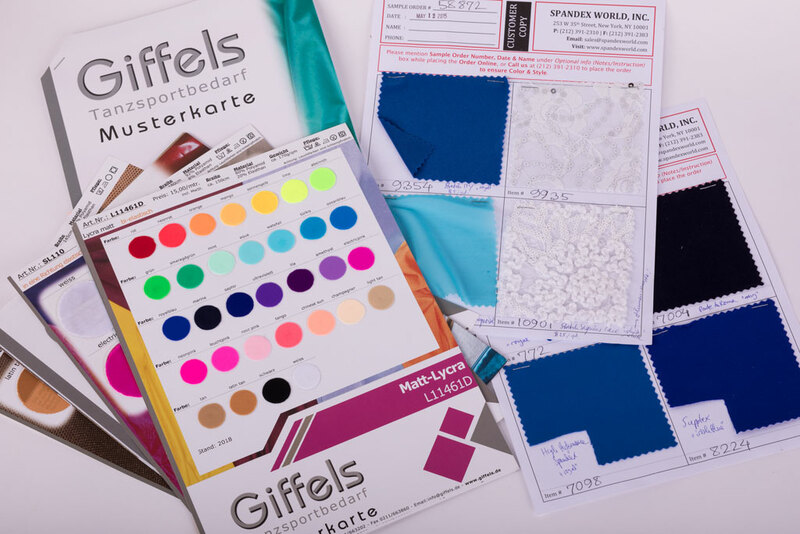 I got these beautiful color charts and fabric swatches from dance supply store Giffels (Germany) and Spandex World (U.S.). Natural fibers – cotton, linen, wool, silk, as well as rayon (viscose) – can be dyed and painted using common textile dyes like Dylon or Simplicol. 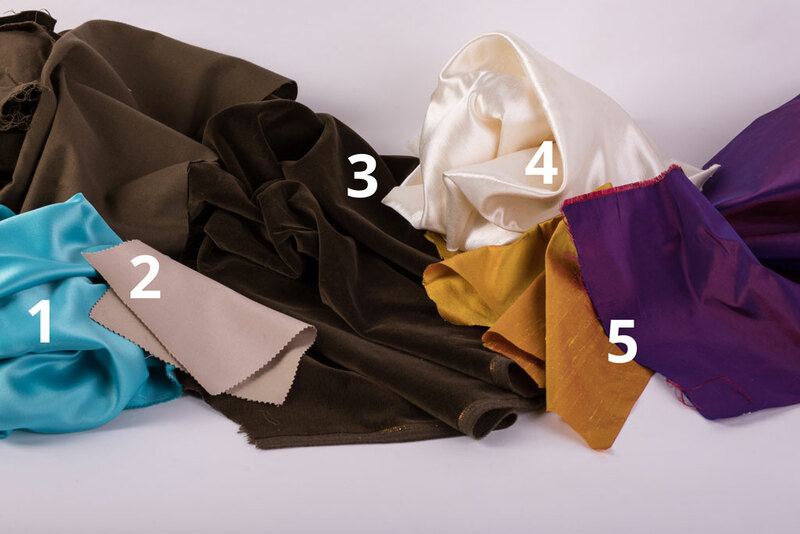 There are also polyester dyes that work for many synthetic fibers (iDye Poly, RIT dye) although they require more heat and you should test them on a fabric swatch first. Dyeing fabric is a bit messy and may require some trial and error, but I’ve achieved some great colors that way that I simply couldn’t find elsewhere. Do you want more cosplay tips for beginners? I’ve put together this checklist that helps you find a costume that matches your budget and skill set! Vorheriges Vorheriger Beitrag: Was sind gute Kostüme für Anfänger?